Bluet & Clover: Coffee? Tea? Doily? OK well, the DIY project I was thinking would be complete by now, is still drying out on the balcony. Paint just doesn't dry as fast in winter as it does on a hot summer day. So instead, I'll show you what I was working on this afternoon. Now, I know some of you are going to be like, huh? I mean I realize not everyone is as obsessed with doilies as I am, but I know someone out there isn't content with the plain ol' white doilies either. 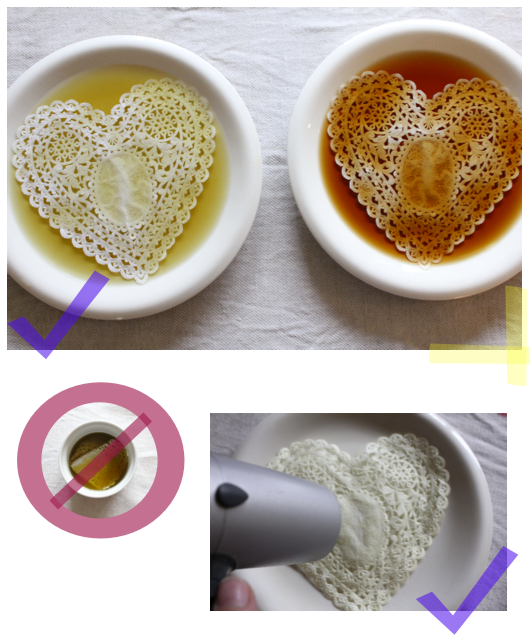 So for those of you who are still with me, this is an easy way to dye your doilies for some pretty scrapbooking projects. You'll need to brew some coffee and tea. See that picture up top with the ceramic pot? That's how I make my coffee every morning. As far as I'm concerned, it's the ONLY way to make really good coffee. Once you have your natural dyes ready, pour a little into a dish large enough to handle your doily. Don't do what I did the first time and fold it up into a little ramekin. 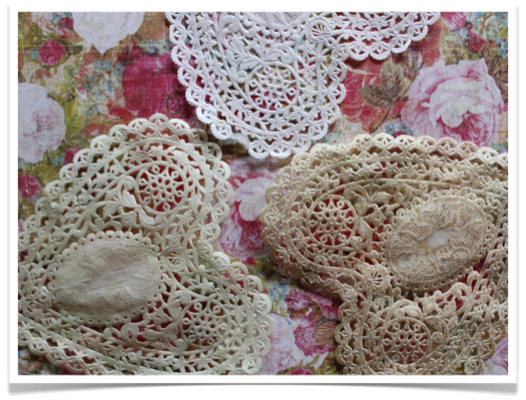 Those doilies are really delicate and will rip right up if you squash them into a too-small dish. Let them soak for about 8 minutes. Next, pour out the liquid and get out your hair dryer. Without moving the doily just dry it in place until it's nice and dry. Now look at your beautifully antiqued doilies. 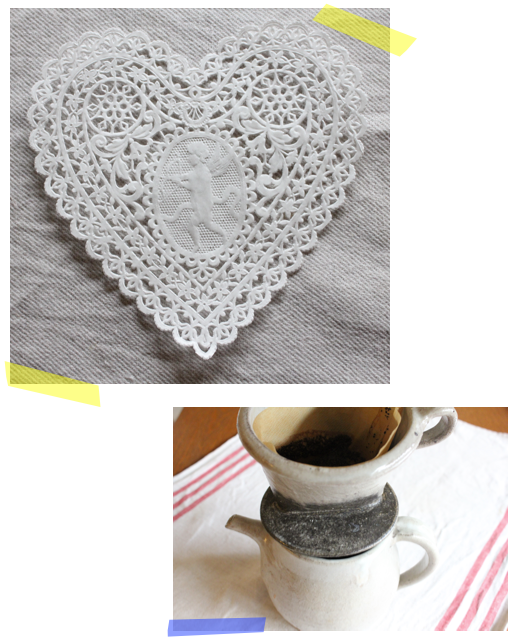 The one on top is an untouched doily, bottom left is the green tea stain, bottom right is the coffee stain. Won't they look so pretty with some black and white photos in your scrapbook? I'd love to show you what I mean, but I'm out of time. You'll just have to trust me on this one. Or come back next week and look at a little photo collage I'm going to make with them. See you then!